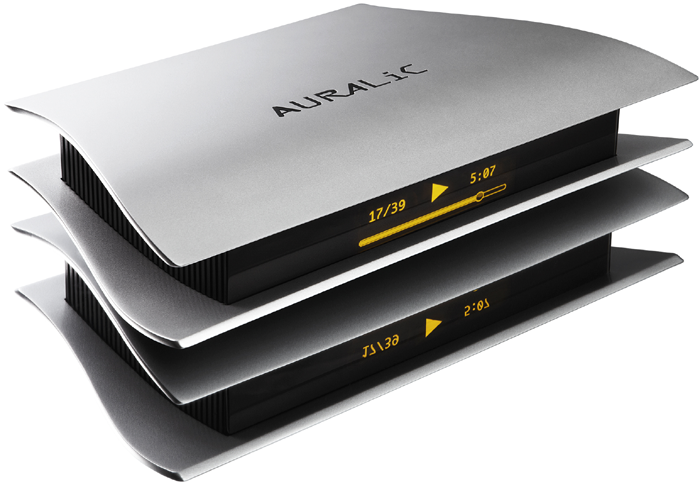 As previewed in our Januaray review of AURALiC's Gemini 2000, this firm had an ambitious product launch in the wings. 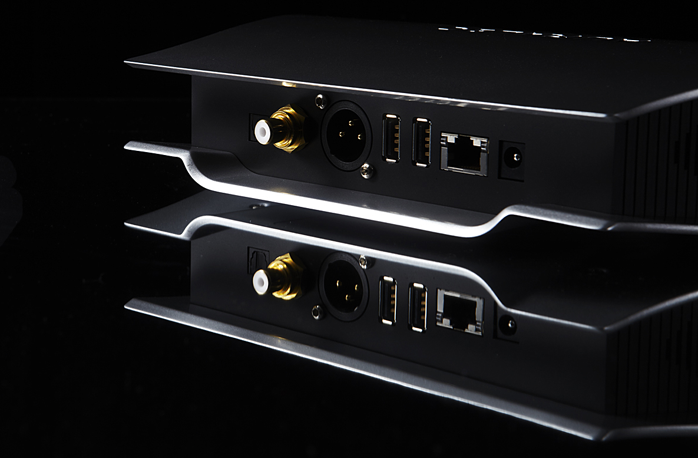 Following their CES 2014 introduction of Lightning streaming technology for what they claim is the industry’s first whole-house high-resolution streaming solution supporting both double-rate DSD and DXD, the company now debuts its Aries as their first product in the Lightning family at the Munich HighEnd 2014 show. 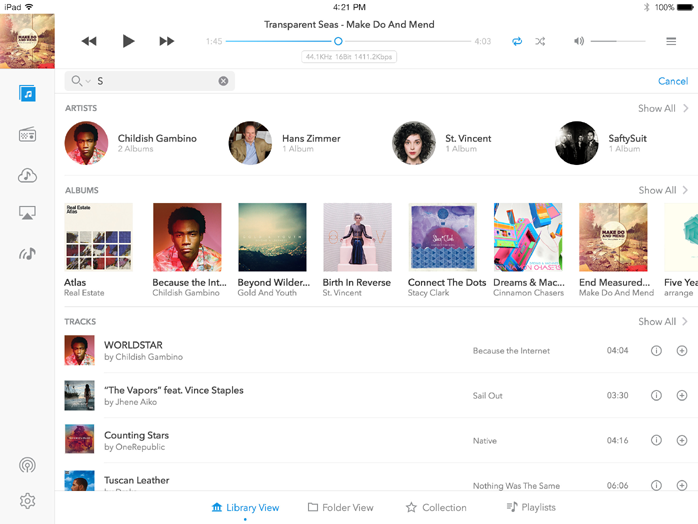 "The Aries serves as a bridge between music files on a network storage device or as high-quality online streaming services and a consumer's DAC. It enables such a DAC to stream high-resolution music quickly and wirelessly in virtually any sampling rate including DSD, double-rate DSD and DXD. "Aries is powered by our proprietary Tesla hardware platform. It includes a quad-core ARM Coretex-A9 processor running at 1GHz with 1GB DDR3 onboard memory and 4GB of internal storage. The Tesla platform has a calculation ability of 25'000MIPS. That's more than enough to decode a vast spectrum of audio formats including AAC, AIFF, ALAC, APE, DIFF, DSF, FLAC, MP3, OGG, WAV, WV and WMA. The inputs of Aries include dual-band high-speed WiFi, Gigabit Ethernet and USB 2.0. The outputs ar ea USB audio host buffered by our patented ActiveUSB™ technology; and low-jitter AES/EBU, coaxial and optical. The USB audio host can deliver PCM from 44.1-384kHz at 16, 2- and 32-bit resolutions as well as DSD64 and 128 into a compatible USB DAC. The other digital outputs are limited to 192kHz/24-bit according to the S/PDIF standard. "By using the OpenHome structure as adopted by U.K-based streaming solution manufacturer Linn, Aries as well as all other Lightning-based products support several advanced functions like an on-device playlist that allows control software to turn off during play and completely support multi-room multiple control points as functions which are not part of the legacy standards of the Universal Plug and Play (UPnP) and Digital Living Network Alliance (DLNA). 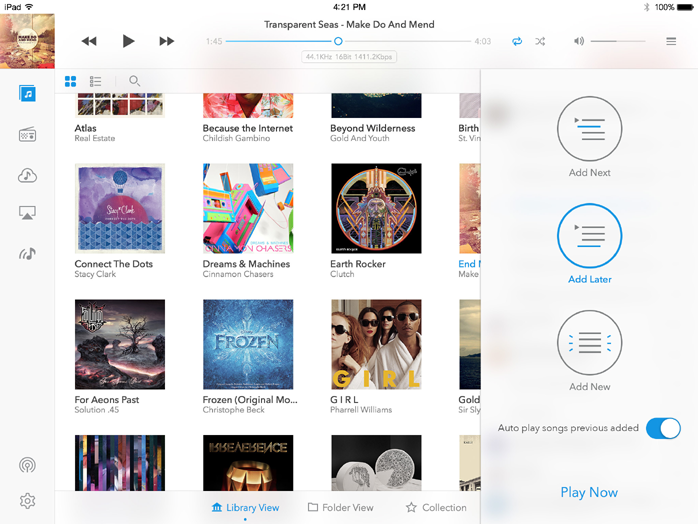 "Aries is bundled with AURALiC’s Lightning DS app. 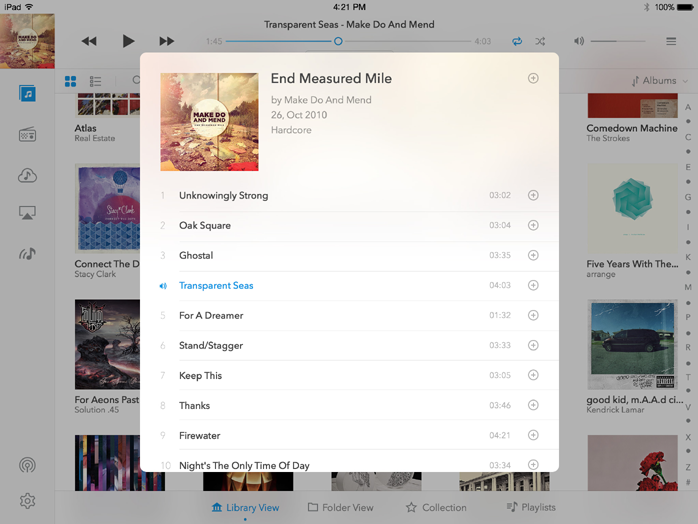 This app fully controls Aries to browse your music libraries on your network-attached storage (NAS), to stream high-quality music content from service providers like Qobuz and WiMP, to control playback and select hardware settings such as output channel and WiFi network etc. 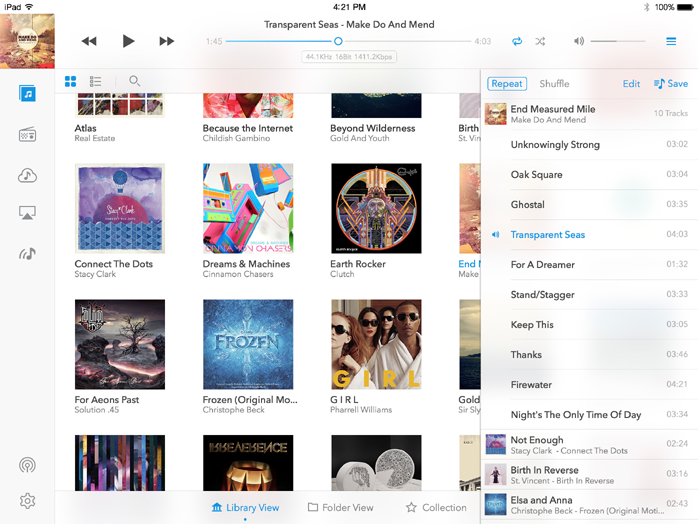 The App also supports Songcast, a music distribution service that allows users to map computer sound to any Lightning-equipped system and to map sound between different Lightning systems in the house; and stream sound though Apple AirPlay. "The Lighting DS app is available on the iOS platform with two dedicated versions optimized for operation on iPad and iPhone respectively. The Android version of Lightning DS App will be available by September 2014 followed by desktop versions that support both Mac and Windows PC by the end of 2014. Aries is also compatible with other OpenHome and uPnP AV-based control software such as Linn Kinsky and BubbleDS although those do not support most of Lightning DS App’s advanced functions such as the online streaming and hardware settings. "Aries also features a 3-inch Oled display to let users view their playback status; and an AURALiC RC-1 remote control to control basic operations such as play, pause and select tack without needing to open the Lightning DS App." 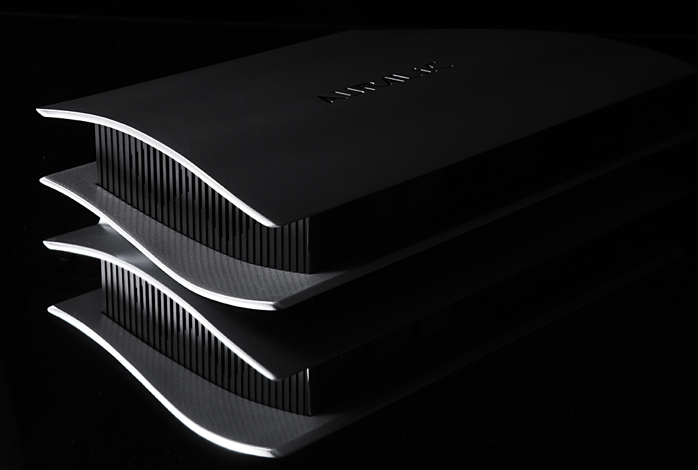 "Aries will begin a new era in the hifi industry," said Xuanqian Wang, president and CEO of AURALIC LIMITED. "We intentionally set the retail price to start at $999. That's an extremely affordable entry point which offers everyone an opportunity to get onboard and enjoy the convenience and high-quality music that modern technology can bring to all. 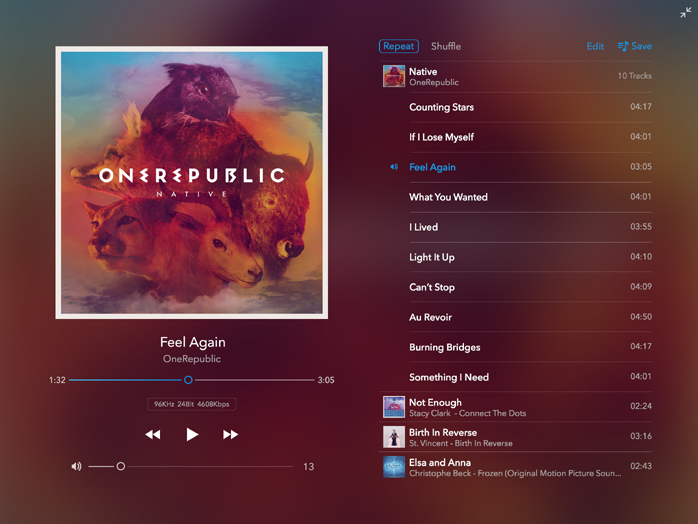 AURALiC has invested and budgeted more than $1'000'000 to develop Lightning Streaming. We are committed to providing continuous free online upgrades to improve the performance and compatibility for our solution as well as to add new exciting functions in the near future such as local storage playback, DSD upsampling, room acoustics correction and multi-channel." The two models in "enclosures as futuristic as their technology inside" are identical in computing calculation ability, software function and upgrade support plan. The dimensions of both are 9.8 x 7.9 x 2.75" WxDxH (25 x 20 x 7cm). Weight is 1.8lb. (0.8kg) without the external PSU.